In Minnesota we have the paintball field for you, are you a sniper, a jungle fighter, a urban guerrilla fighter, or just want to join in a friendly free for all shooting match we have the arena for you; call for a private reservation, or walk in and join the fun. Do you see yourself as tough enough to stand up straight and tall against your opponents, come and be part of our civil war style paintball combat. Its winter can you still do paintball combat, yes, outdoors in our forest arena or indoors at one of our other locations, we have a venue for your needs year round in all types of weather. Paintball is great way to exercise and bond with your friends or fellow employees. A Speed ball paintball field is for the adrenaline junkie, a fast pace duck cover, locate and shoot sport, for individuals or teams. The forest and jungle fields have large uneven ground to cover you get to exercise your senses as well as your body; keep track of your team mates, find the camouflaged or hidden enemy, move in quickly to neutralize the threat with firepower and team work. Imagine yourself stationed in a foreign land defending your outpost or patrolling in an unfamiliar city, can you reach your goal and survive, find out in a safe monitored playing field with paintball markers. Private reservations and equipment rentals, for groups over eight individuals are available any day Monday through Sunday. 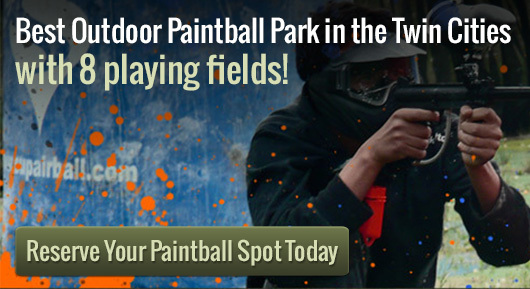 Paintball is great for that company party, get your team building going with a memorable enjoyable time. Are you having a birthday, want something exciting for a bachelor or bachelorette party call now for reservations, we have the right paintball field for you.